The Scottish actress, Laura Fraser is best known for portraying Lydia Rodarte-Quayle in the AMC crime drama series “Breaking Bad”. She is also known for appearing on the BBC fantasy series, 'Neverwhere,' as Door; 'A Knight's Tale' as Kate; and 'Lip Service' as Cat MacKenzie. 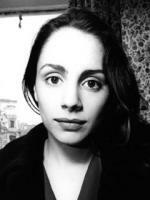 Laura Fraser was born on 24 July 1976 in Glasgow, Scotland. Her father, Alister Fraser, a former owner of a small building company, and now, an aspiring scriptwriter. On the other hand, Fraser's mother, Rose, used to be a nurse and now a college lecturer. She has an older brother, who works with computers, a younger sister, who is studying philosophy at university, and a younger brother who has not yet decided what he wants to do. Laura attended Hillhead High School and her father, Alister Fraser wrote a play for the youth club in which she played the female lead during her time at high school. To accomplish her acting dreams, she joined Scottish Youth Theatre and began learning acting. During her time at the theatre, she got a supporting role in Gillies MacKinnon's film Small Faces (1996). Having not been enjoying her time at the Academy, and encouraged by her parents, she dropped out after a year and moved to London. She landed the starring female role in the urban fantasy television series " Neverwhere" playing Door in 1996. Then she moved to several small or supporting roles in films (Cousin Bette ( 1998), Man in the Iron Mask (1998), as well as a lead in the short film 'Paris Brixton' (1997). She also appeared as a minor character in single TV dramas, such as 'The Investigator (1997)' and 'The Tribe (1998'). Her role in the movie Left Luggage (1998) was more substantial and led to her getting one of the main character roles in the black comedy Divorcing Jack (1998). And her noted performance as the lead female in the comedy "Virtual Sexuality in 1998. Since then, Laura has appeared in a number of films, mainly in supporting roles, but always noticeable. Her act as Lavinia in the offbeat version of Titus (1999) has particularly been singled out for praise. All these roles have demonstrated her versatility in characterization and style to the full. Laura moved to America after completing Coney Island Baby in 2003. She landed a role in the well-regarded HBO drama Iron Jawed Angels in 2004), and also met up with Karl Geary, her co-star in 'Coney Island Baby'. 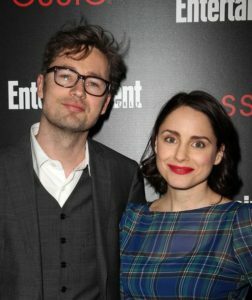 From 2012 to 2013, Laura Fraser portrayed Lydia Rodarte-Quayle in the final season of the AMC crime drama series "Breaking Bad". The series was produced by Vince Gilligan. The show formerly displayed on the AMC network for five seasons, from January 20, 2008, to September 29, 2013. In 2003, Laura married Karl Geary, an actor, and a club owner in New York. Geary is famous for his role in Nadja, Hamlet and much more. In 2005, Laura worked as a choreographer on a pantomime 'Oh Yes He Is!' written by her father for the charity Sense Scotland; at this time she was pregnant with her first child. Laura and her loving husband Karl Geary welcomed their first child named Lila Geary in May 2006. Laura intended to not work for twelve months and be a full-time mom, but by September 2006 she was back making a film for the BBC. The versatile actress holds a Scottish nationality and belongs to English, Scottish, Icelandic, Scandinavian, and Irish. The 5' 3" Scottish actress, Laura Fraser has been earning a lucrative amount of salary and her net worth is estimated to be $3 Million (2017).